• to aid in the practical realization of living in harmony with our fellow beings and the natural world. • and to facilitate the travel and exchange between cultures of people of wisdom and knowledge. THE AIM of the Threshold Society in the broadest sense is to provide an education in the universal principles of spiritual realization. As such, it is open to all people interested in its work, no matter what their beliefs or religious affiliation. There are at least three aspects to participation in the Threshold Society. 1. A person may, for instance, participate in various programs, including the weekly meetings, periodic seminars and retreats. If a person is participating in weekly meetings for at least three months, he or she may be invited to become a member and support the group through monthly dues. Implicit in membership is a commitment to attend the weekly meetings regularly as a matter of high priority, the willingness to be of service, and to accept and support the leadership of the group. 2. 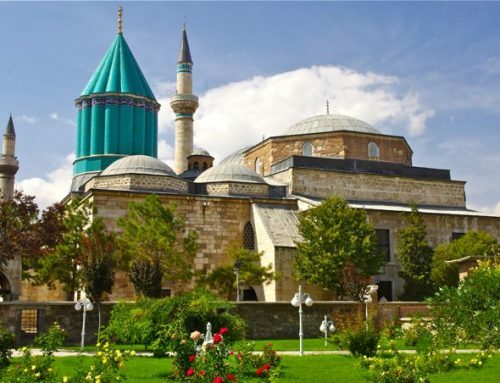 At another level, if one feels a connection to the lineage of the Mevlevi Order, one may receive initiation. This is for people who not only accept the responsibilities of group membership, but see the Mevlevi tradition as their primary spiritual commitment, and accept Kabir and Camille as their point of contact with the tradition. It also entails a willingness to acquaint oneself with and understand the sources and framework of the Sufi tradition, including the Qur’an and the sayings of the Prophet. It is not, however, required that a Mevlevi dervish embrace the religion of Islam in its outer, sociological form. 3. The relationship to a shaikh is one of the most important aspects of Sufi teaching. When the dervish opens his or her heart in receptivity and submission, the shaikh can be a source of knowledge and grace. This relationship passes naturally through many stages. It is a relationship that cannot be forced, but the degree of affection between dervish and shaikh is what allows the effective grace (baraka) of the tradition to be shared. It has been said: As difficult as it may be to find a perfect shaikh, it is more difficult to be a minimal dervish.